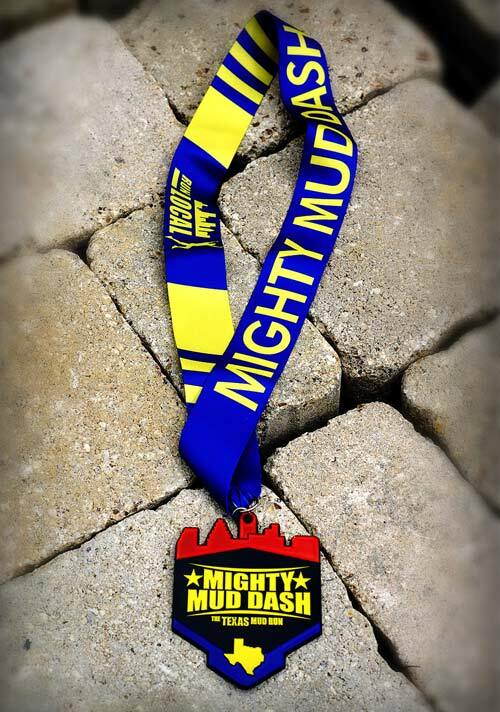 Mighty Mud Dash is proud to present the 2017 finisher medal, “The Big Heart.” Named not for its size, but for what the finisher medal represents. The Big Heart is exclusively designed in-house to capture the essence of our hometown Houston, TX from its creative design down to the empowering name. The design of the medal emulates Houston with the Downtown Skyline while also capturing the city’s broad range of interests, backgrounds, and experiences through the vibrant color design. To top it off, the medal’s name is based on one of Houston’s many nicknames, “The Big Heart”, to seize the spirit of every Houstonian. Houston originally earned the nickname “The Big Heart” back in 2005-2006 when Houston offered shelter, food, and aid to 150,000 survivors from Hurricane Katrina. Like the meaning of the medal’s name, we believe our participants embody the same ethics and principals Houstonians did in 2005-2006 in lending a helping hand to those in need. We see it year after year – Participants assisting each other through tough obstacles and emphasizing helping those in need rather than finishing first. It is a real reminder that, together, we are mightier. Copyright 2012 - 2019 by Mighty Mud Dash. All Rights Reserved. Web Developer.